Far be it for me to judge why anyone wants to travel; whenever I hear of someone setting off on a journey, my instinctive reaction is to simply hail a quiet hallelujah and wish them a heartfelt bon voyage. I strongly believe that our world’s greatest problems stem from cultural ignorance, which in turn leads to intolerance and, eventually, conflict. And conflict I despise. 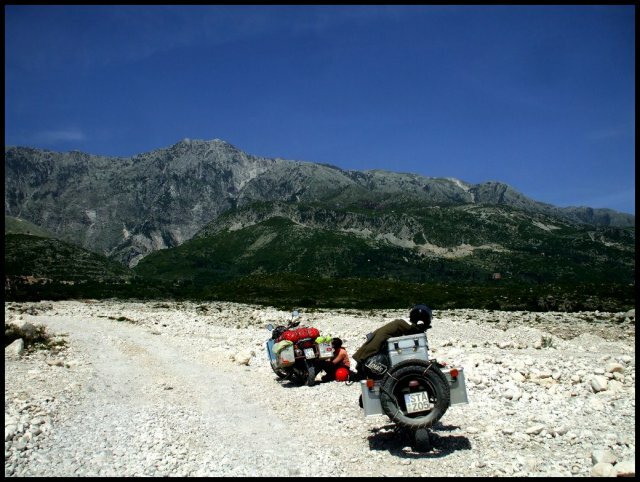 Travel is the one tried-and-tested way to combat this primordial human sin, hence my fervent belief that if more people took to the open road, the world would indeed be a better and more peaceful place for us all to live in. However, after a recent email from a girlfriend, who lamented the demise of a messy relationship (yes, I urged her to book a 6-week holiday to get over the pain); I started to contemplate travel as the multi-faceted remedy it really is…for all sorts of ails. Truth be told, there are actually countless reasons why people travel, and quite a few of them have absolutely nothing to do with learning about new cultures, visiting impressive sites or collecting souvenirs. Most of them are, in fact, quite introspective…some people travel because of the incredibly beneficial effects it has on their heart and soul. All of these reasons are, in my view, perfectly valid. When it comes to escaping all sorts of unpleasant situations, Houdini had nothing on travel. Getting away from the grind of daily life, or taking a momentary pause in an otherwise overbearing personal, family or work conundrum can have an incredibly invigorating effect. However, I would rate this as the most temporary of all effects. Escaping is not changing; taking a break from problems will not solve them, although it may clear your head enough so that you find a way to do so upon your return home. But let’s be honest, there are some people who really have no options for change; those who are looking after infirm parents or children for example. If you find yourself in an unchangeable spot, you need not despair. A regular dose of escapism can really do wonders for the soul, no matter how long it lasts. Countless research has shown that the therapeutic effects of vagabonding the planet are the same whether one travels for three days ,three weeks, three months or three years…the imperative thing here is not to make your escape last longer, but rather to do it more often. Travel has a sneaky way of forcing you to confront your inner-most fears, unhealthy habits and short-comings. It can also reveal your strengths and aptitudes in a relatively short amount of time. This can be confronting, yet in reality no one’s ever died from a little bout of soul searching. Travel has shown me to have an aptitude for languages, for example, even though I’d always maintained to be totally useless at learning them. It also proved to me that although I am hot blooded over small, tedious matters; I am surprisingly cool, calm and collected in times of real crisis. Travel can reveal to you if you have a tendency to be overly-critical (of yourself and others) yet it can also show you to be an ingenious and lateral thinker. The reason travel does this, I believe, is because it gets you away from your home, your family and your friends. Getting away from an established life allows you to discover your true self, and potentials, away from the expectations of others. Travel can seriously redefine how you see yourself and gifts you innumerable chances to actively change the things you don’t like. This is the reason I maintain everyone should, at least ONCE in their life, travel alone. Travel can really heal all sorts of emotional hurts, for all kinds of reasons. First of all I believe it does this because travel has a wonderful way to slow down time. Time is what heals you…travel is what gifts you more of it. When you do the same thing day in and day out, the days, weeks and months seem to blend into one confusing blur of fleeting time; breaking away from routine and discovering new places has the priceless advantage of making just a single week feel incredibly long. Secondly, getting away from the ‘scene of the crime’ can be immensely therapeutic. I went on my first African safari about a year after my father passed away. When I returned to Sydney and took to driving to work on the first day, I realized that one of the reasons I cried every day for the first months, was because I was driving past the hospital where he had been treated on a daily basis. I didn’t even recognize this at the time, (I simply assumed I would or should be crying nonetheless), yet when I returned from my trip I became aware of the unnecessary negative effects and simply changed my route to work. Between the healing and escaping effects, my trip worked on various counts as a precious healer. While it may be true that even a short stint of travel can cost more than a pack of Xanax; when it comes to healthy anti-depressants I dare say journeying is a much better alternative to popping a pill. Nothing like a good dose of jumping-in-the-deep-end of the pool to wake you up from a groggy existence! Pushing your boundaries and comfort levels, no matter how near or far, has an incredibly satisfying and awakening effect on your soul. Overcoming challenges, scaring yourself half to death and achieving something you never knew you could, is the equivalent of a decade worth of therapy for your self-esteem. Tried and tested this one, so don’t even bother arguing. JUST.DO.IT. Want to find a monumental way to separate important stages in your life? Go travel! Whether in between schools, jobs or marriages, a trip can have wonderful renewing effects on your subconscious mind. It allows your soul to wipe the slate clean, deal with whatever emotional baggage you may still be holding and then gives you good dose of regenerated energy to face a new beginning. Yes…travel can also be a marvellous spring cleaner. This entry was posted in Overlanding and tagged adventure travel, emotional struggles, healing, heartbreak, journey, Travel, travel escapism, travel therapy, trips, vacation. Bookmark the permalink. Hello Nomads @ Heart! Lovely to receive your feedback. I was deeply engrossed in your blog post but, ultimately, it is a separate issue. the topic of ‘why’ one travels is inherently different to the varied therapeutic effects which travel can gift. We certainly share many similar views on this! 🙂 For myself, the acquisition of true, personal freedom is the ultimate reason, whilst curiosity the main catalyst. I’ve just liked your FB page so I can keep up with your vagabonding tales…do you have a way to subscribe to your blog? It may help those who don’t use FB! Enjoyed your piece, You have made me look at the reasons i like to ride my little 250cc Honda as far as I do. I travel because I want to meet people, see other cultures and although I have found many differences in people of other countries, there are more similarities than differences. I have the good fortune to write for Ride Magazine and get some of my expenses back being on a pension this is important but I still need to get part time employment. I like the challenge of using a small bike for two reasons, cheapness and I can pick it up when I drop it, fewer time on each trip. People I have found are usually in the very much greater part are pleasant to me, its could be the grey beard and that I am in my late 60s and thus, harmless. Offering no threat is a safe thing and in the many trips I have made I have met no threat at all. I aim toe travel round the world as soon as I can raise the interest of Honda, they’ll take a lot of convincing. To be honest, i don;t remember ever meeting anyone who was ‘unpleasant’ on the road…it’s just some with whom you have more in common.